Does West Street Need a Taco Bell? 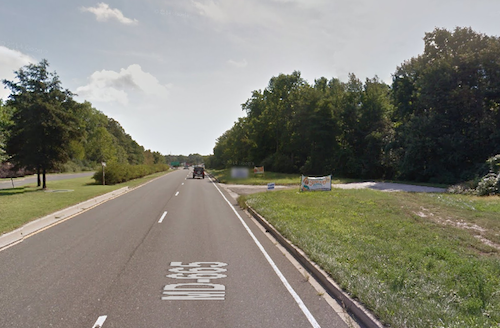 In July of 2014 The Capital published an article about a possible land swap between the City and a property owner in exchange for some land to reconfigure the Chinquapin/West/Admiral intersections. One aspect of that was the possible addition of a Taco Bell drive-thru restaurant at the site of the old Whiskey. I wrote about that in an Op Ed in the Capital. I’m not sure what has transpired with respect to the intersection other than I know SHA is looking at some options, but there is movement on the Taco Bell front. Thank you for the opportunity to submit testimony on SE2015-001. I believe the request for special exception SE2015-001 should not be approved. My objection is not the product the business is selling, but the form of the building from which the product is sold. Fundamentally, a fast food restaurant and an associated drive-thru facility is not appropriate for this location along West Street because of the form of the proposed building – an automobile oriented drive-thru typical of suburban strip mall development – is not consistent with the City’s Comprehensive Plan and as analyzed below, there is a very large opportunity cost to the City with this building form. 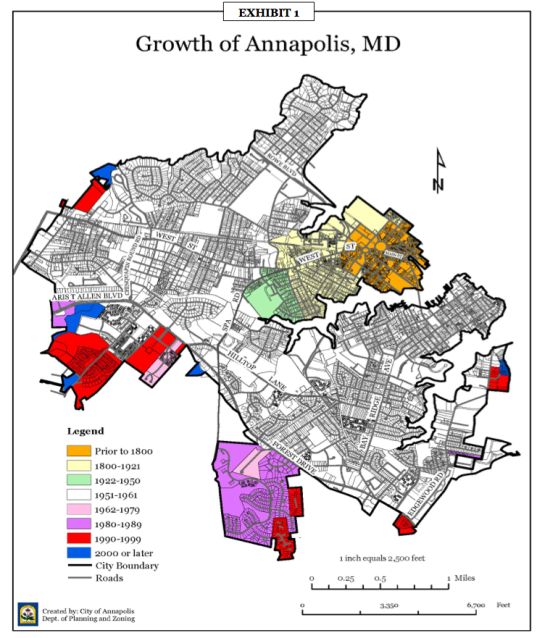 In chapter 3 of the Annapolis Comprehensive Plan on Land Use and Economic Development, there is a set of cascading principles, objectives and opportunity areas that is directly applicable to this special exception request. maintains and/or restores spatial continuity to streetscapes; strengthens neighborhoods and commercial districts … introduces compatible uses that complement community attributes and needs. This Plan recommends a transformation of the area, from an automobile oriented suburban commercial pattern to an urban character focused on residential development and commercial uses. Buildings should front directly onto West Street with little or no front yard setbacks and little interruption of facades. And, It is recommended that the street transition to an urban boulevard in character with widened sidewalks, enhanced pedestrian and bicycle crossings, street trees, transit features, and street lights. The typical drive-thru restaurant with a building set back far from the street surrounded by parking and other auto infrastructure is counter the these statements from the most general principle to the most specific opportunity area recommendation. 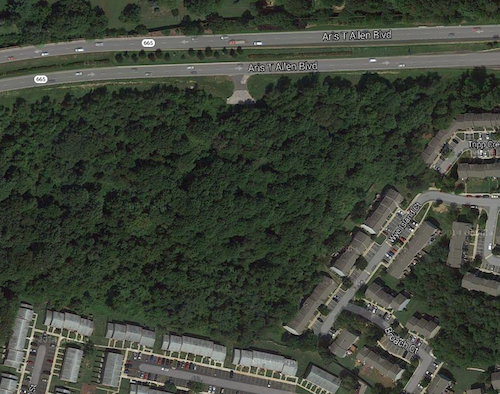 This automobile oriented development is decidedly not friendly to anyone outside of a car. The typical design of a drive-thru restaurant such as that proposed requires multiple curb cuts across pedestrian ways such as the sidewalk along West Street. Curb cuts can be dangerous to pedestrians as drivers fumble with purchased food as they drive out of the lot. Patrons wishing to visit such an establishment without cars must walk through surrounding parking from the sidewalk and most often cross drive-thru lanes leading to the establishment doors. By design this template is intended for areas where all people are in automobiles; for pedestrians, at best it is unpleasant or at worst dangerous. A vibrant street life similar to what exists on inner West Street is created when people can walk and ride bikes along a streetscape that is interesting at a human scale. If we want to extend this to outer West Street as indicated above in the Comprehensive Plan, we must make choices that are people oriented. There are already examples of this along this part of West Street such as the mixed-use development at 1901 West, the new commercial development at 1730 West, and significant public investment in pedestrian infrastructure (sidewalks, signals and crosswalks). We need more development like this and an automobile oriented drive-thru restaurant is decidedly not consistent with these recent private and public investments. Beyond the aesthetic and functional components related to the Comprehensive Plan, there is a fiscal component associated with the proposed development plan. 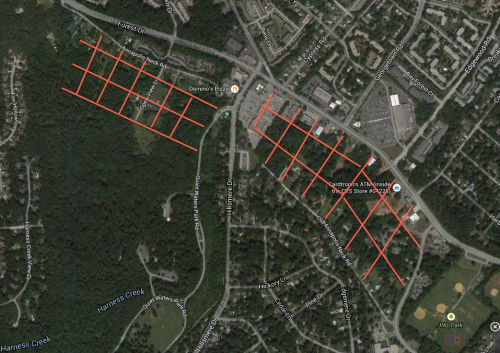 An automobile oriented development pattern represents a lost opportunity for the City. Property tax revenue is the single largest source of revenue for the City and it is in the taxpayer’s interest to receive the best return on property tax investment by promoting development that maximizes the use of City infrastructure. From a fiscal standpoint, the urban commercial form is significantly more productive per square foot than an automobile oriented drive-thru restaurant by more than six times. A building form that maximizes the available land – parking lots and drive-thru lanes do not “improve” the assessed value much compared to a building – also maximizes the return on investment for a given amount of the City infrastructure (water, sewer, streets). For a City that is continuously facing budget challenges, why would we want to encourage development that minimizes return on investment? The most important aspect of development along the West Street Corridor/Opportunity Area, is the form of the buildings, not the businesses occupying the buildings. There is nothing inherently wrong with national chains or prepared foods per se in this area, as long as the form of the building maximizes financial productivity and in consistent with the City’s Comprehensive Plan. Furthermore, businesses come and go in response to changes in consumer tastes and market demand, and a building that is not purpose built as a drive-thru restaurant is much more likely to be easily reused as the occupying businesses change. This helps make the area much more resilient to future change. As the proposed form of the building is inconsistent with the Comprehensive Plan and represents lower fiscal productivity for the City, the special exception should not be granted. 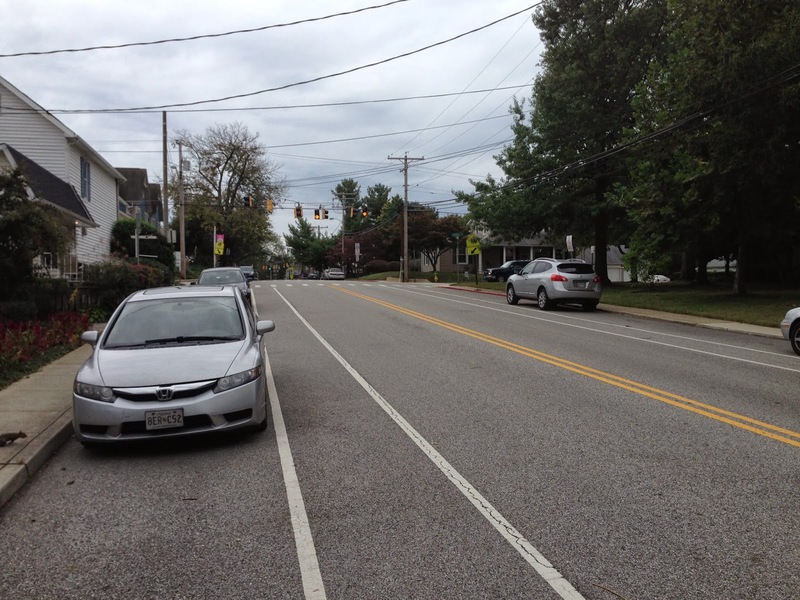 This entry was posted in Advocacy, Urbanism and tagged Strong Towns on June 2, 2015 by Alex Pline. 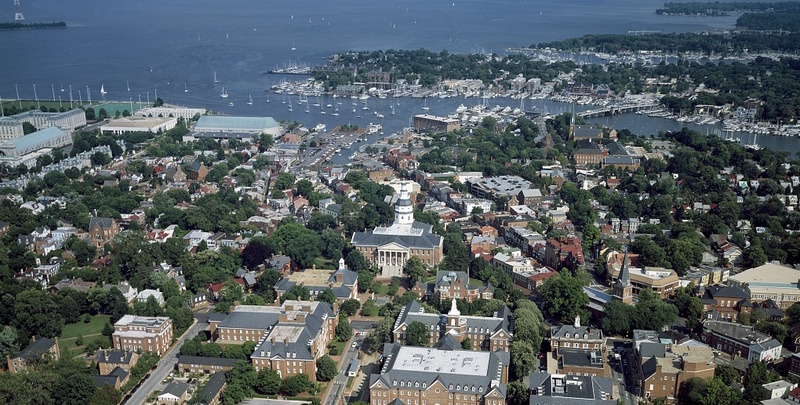 I live in the Annapolis Maryland the historic capital of the state, one of two incorporated areas in Anne Arundel County. The historic city proper is about 40,000 people, a very small town compared to the neighboring Baltimore and Washington DC, which is essentially infilling into a single mega metropolis. 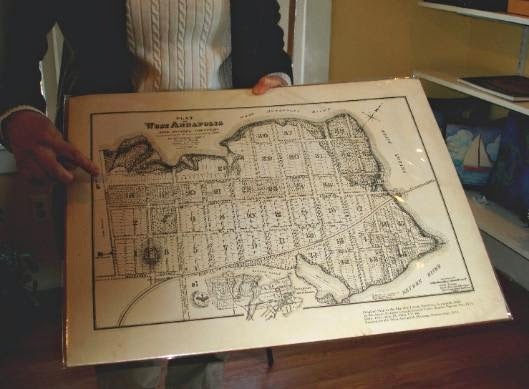 Through a series of good – lucky, if I am honest with myself – decisions we bought a house in the West Annapolis neighborhood. 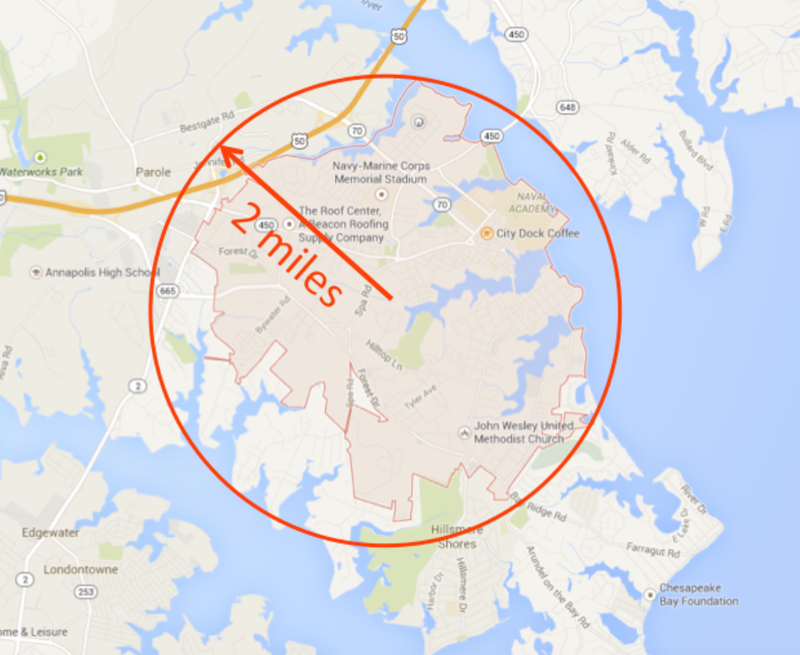 For those not familiar with the local area, and maybe also for those who are, but need a perspective check, the proper way to think about West Annapolis is a neighborhood of the city or something like a “first ring” suburb in a larger area. For the planner types, it is a combination of T3 (sub-urban where most of the residences are) and T4 (general urban where our local business district is). 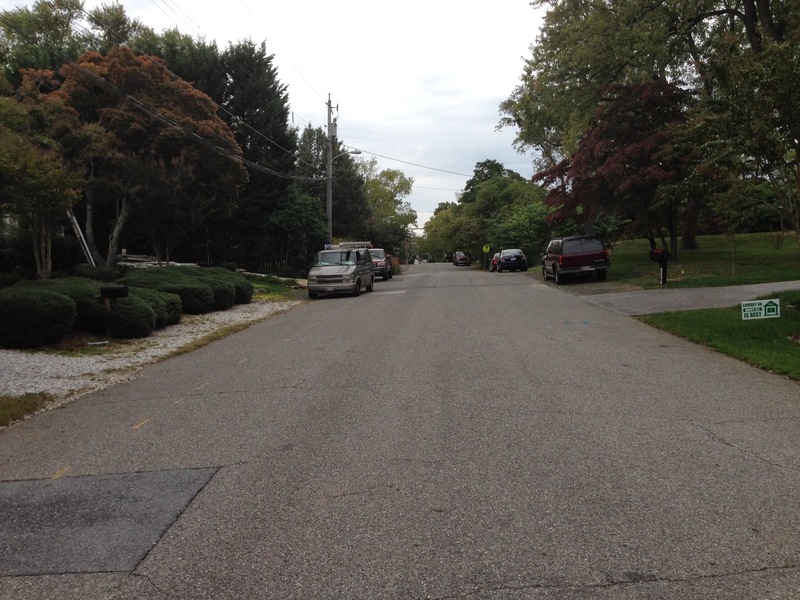 The neighborhood dates back to the late 1800s when it was planned for development from farmland. An early map shows the traditional development pattern which is bordered by creeks/rivers on three sides. It never ended up quite that dense and interestingly the part to the right of the map ended up being redesigned by Frederick Law Olmsted to be more “Central Park-like”due to the topography and the desire for larger lots on the water. In addition, the B&A Railroad used to go directly through (shown on the bottom part of the map) with a stop in West Annapolis on it’s way into Annapolis. Interesting local history, but I digress. 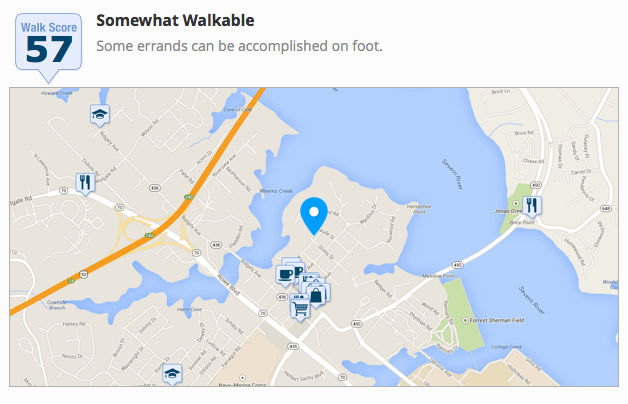 I feel very fortunate to have ended up here because it is an extremely walkable compared to other parts of the County. While we ended up here 20 years ago based on making easy commutes to Baltimore and Washington for me and my wife, there is just something inherently attractive about this kind of neighborhood. At the time, it was really just a “feel thing” until my interest in urbanism began to develop a number of years ago. I realized I have always lived in places like this: New Bedford MA, Cleveland Heights OH, Lakewood OH, that is, all within walking or biking distance to various amenities I care about. I don’t think it was by accident, these are places that people really like. Now with the vocabulary of urbanism, I can more explicitly explain why I like them. Which brings me to the Strong Towns Challenge: Walk to the Grocery Store. 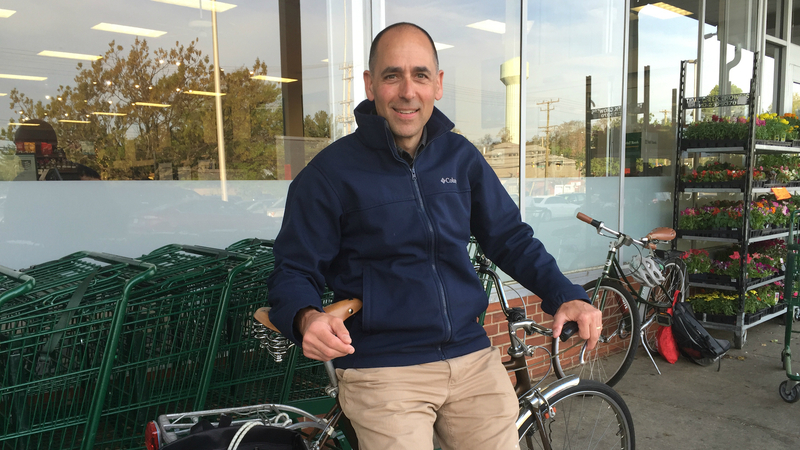 Honestly, it’s a bit of a no brainer as we have a full service grocery store less than 1/2 mile away that is an interesting and pleasant walk or bike. You can see from the map that the neighborhood has a small street grid not unlike that in the 1890 map above and the walk is from the blue dot to the grocery store icon at the bottom. Don’t let the local Walkscore of 57 throw you off, it’s really misleading. While I typically ride my bike there because it’s faster and I just like to ride bikes, it is a very pleasant walk. It starts with a walk up my street, which has parked cars both sides and no sidewalks, even though there are lots of people walking dogs, kids etc. 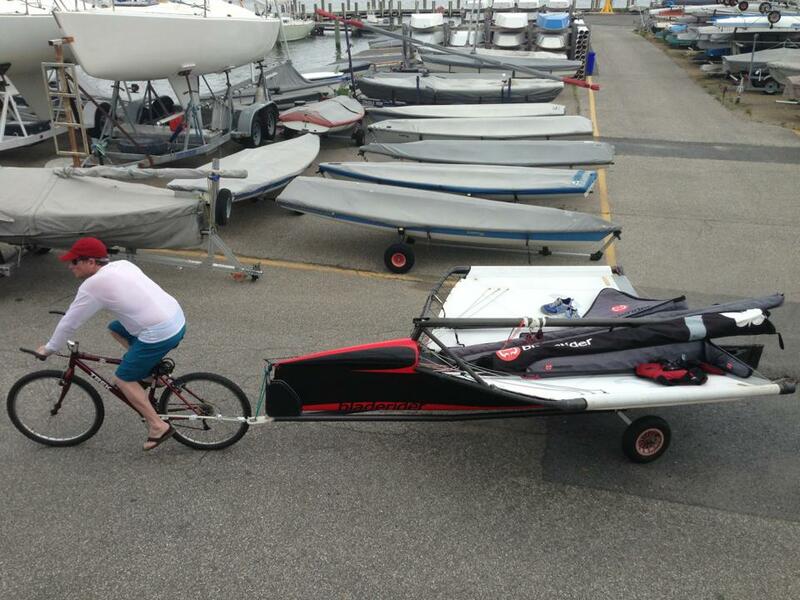 We don’t need them as the driving cues say “whoaaa, 25 is way too fast”. The houses are interesting and the Elementary School is at the head of the street. This is a very sub-urban kind of thing, but within a block or two, we arrive at the school (on the right) and the business district at the light). The city has added bike lanes (even though they don’t connect to anything useful from a transportation perspective – grrr), which help slow people down. A recent to be published city sector study (for planners if you are really interested) has recommended bumpouts at intersections to help and provide better crossings for the school. At the next block you take a right, then a left and you are nearly at the shopping plaza which contains an excellent – recently remodeled inside – full service grocery store, a drugstore, a bagel shop, a quick service Italian/pizza restaurant, a Chinese restaurant and a bank and 7-Eleven across the street. Pretty much a good smattering of amenities. For the most part there are good sidewalks, although there are a few missing teeth, but the cars move slowly here and it is not catastrophic. Easy to walk, easy to bike, even for children. There is some traditional mixed use, but it is older and none built in recent years. I hope this will change, but the area is not specifically zoned “mixed use”, which might prevent such development, I don’t really know the intricacies of the laws, but that in and of itself might be part of the problem. Developers really don’t want to do something that is “tricky”. 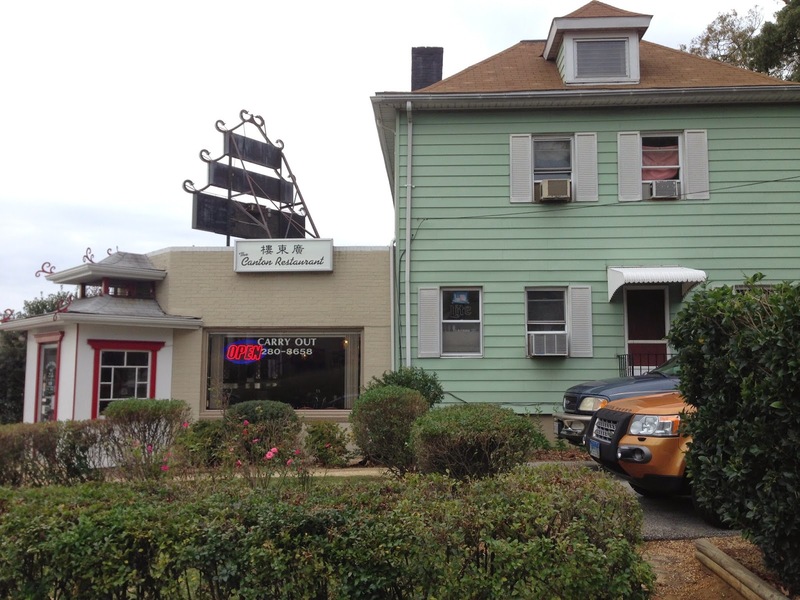 The Chinese restaurant is the classic example; the owners still live in the attached house. The shopping plaza is not particularly attractive and has all the wrong attributes (parking in the front, single story, no mixed use), but it is functional and most importantly, is human scaled. The amount of parking is just about right, on any given day it is close to being full. This area directly abuts the US Naval Academy and a few years ago the owner of the property flirted with kicking out the tenants and selling/redeveloping the property into a hotel that would cater primarily to visitors of the USNA. The locals (including me) expressed interest – that’s a bit of an understatement, we marshaled the troops with pitchforks – in keeping the mix of businesses the same because it is exactly those that makes this area walkable from a “getting around in your daily life” perspective that we all know is so critical to creating places people love. Thankfully, the owner decided to continue working with the existing businesses and as a result there has been new investment in the buildings with significant inside renovations of the grocery store and the bagel, shop, a good sign of commitment on all sides. So I walked to the store to pick up some lunch today. A nice one mile walk on a glorious fall day. I am grateful that my experience is neither difficult nor uncommon. Annapolis and specifically West Annapolis is not perfect for sure and as much as I might criticize the City, it is because I love it and want to see it prosper as a Strong Town. 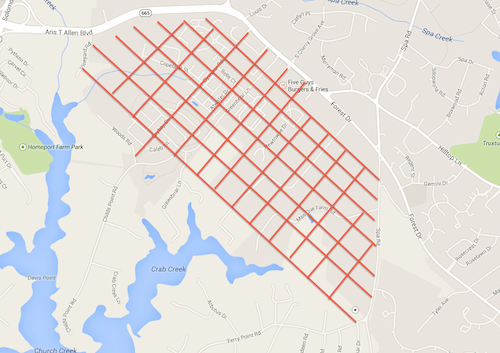 It is way better off in this regard that many other places in the area. 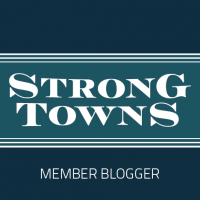 We really have a huge number of Strong Towns attributes and have a great comprehensive plan as a guide, we just need to make sure the spirit of the plan is maintained as we go. I would not want to live anywhere else. 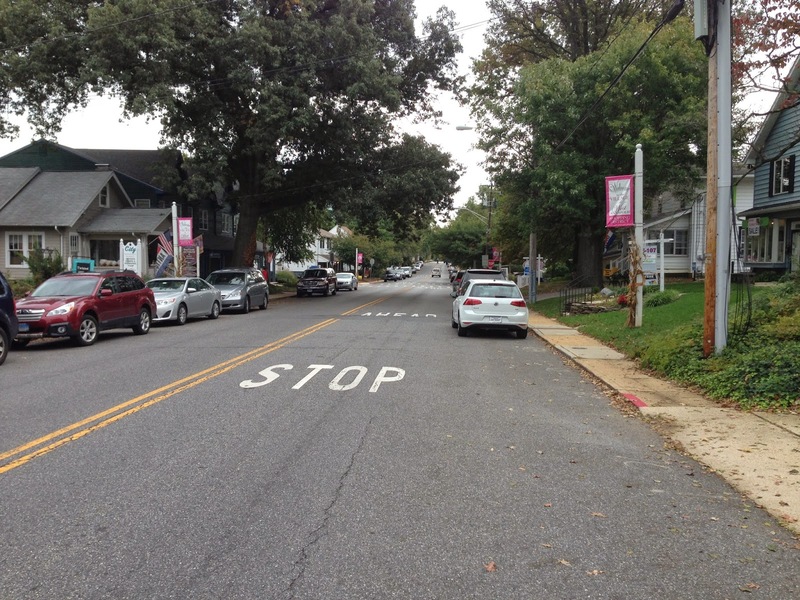 This entry was posted in Urbanism and tagged Strong Towns on October 7, 2014 by Alex Pline.